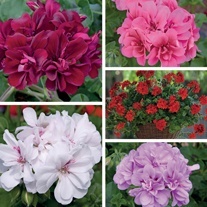 Geranium Flower Plants delivered direct by D.T.Brown seeds. 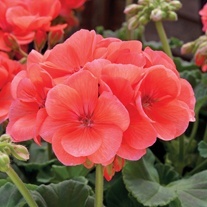 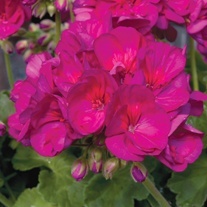 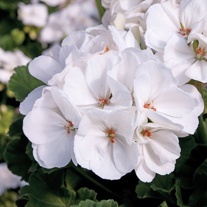 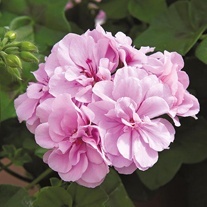 Geraniums are very versatile and there are a number of different types, so whether you’re looking to plant in the border, in patio pots or hanging baskets, we are sure you’ll find a variety perfect for your space. 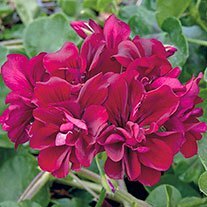 The Ivy Leaf types are ideal for use in baskets and containers and will thrive in a sunny or partially shaded spot. 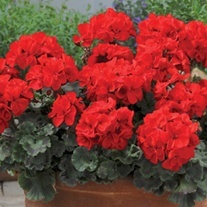 We recommend using 5 to 6 plants per 35cm (14in) basket. 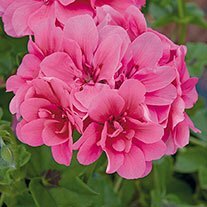 The Giant Flowered Zonal and Pelgardini types are perfect for use in borders and patio containers. 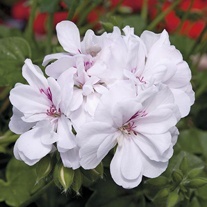 For the best results and to create bushy plants we recommend that you pinch out the tips of plants twice after potting and remove faded blooms regularly to encourage further flowers. 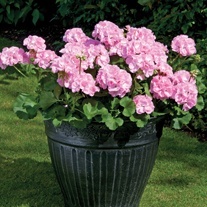 Plant 30cm (12in) apart. 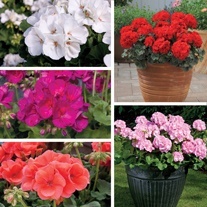 For Regal types we recommend planting as bedding or planting into pots, either indoors or out. 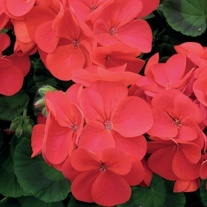 We recommend that you pinch out the tips of plants when they reach 10cm (4in) high, this is to encourage bushy growth. 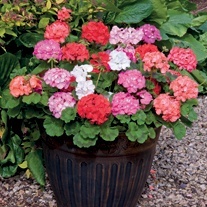 Plant 30cm (12in) apart.